Lets Set the Alert to Save a Life! Do you leave your house to go to work expecting to get kidnapped or killed? We don’t! Nobody should! Imagine you are a Human Rights Defender in Guatemala, one of the most dangerous countries in the world for those defending human rights. Your voice represents the dreams of thousands of people in your community. 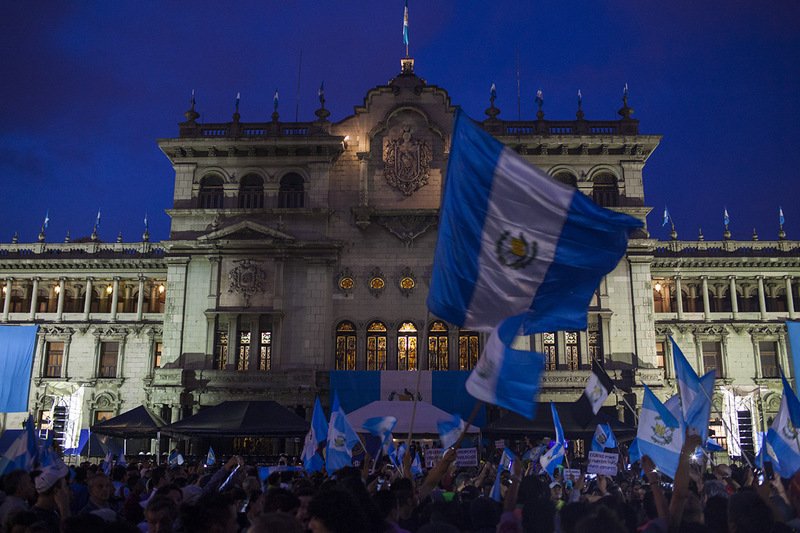 Because of you, they dare to imagine a just, equal and free Guatemala. You wake up in the morning and while taking the first sip of coffee, you receive an anonymous call threatening your life. When you look at your phone, you see hundreds of threatening messages. You shower, eat and while walking out of your house on your way to work, you say goodbye to your family. You hug them with a heavy heart because you know this might be the last time you see them. You go to work filled with hope, but you never return home. A few days later, your family finds your lifeless body with signs of torture. Now imagine an alert system in Guatemala that can save your life. While you receive countless of disturbing threat calls or messages, you can take action against these threats and you can protect yourself. Imagine, a support system that can give you a chance to return home from work without being kidnapped or killed! Inequality in Central America is not only visible, it is palpable. You can almost breathe it. Just to stand up for their basic human rights, people have to confront increasingly dictatorial governments. Recent developments clearly show the threats presented by the rise of fundamentalism, closing civic spaces, and the persecution and assassination of human rights and environmental defenders. The rights of women, indigenous communities and human rights defenders in particular are in danger. In several countries, the rule of law has become a thing of the past, and the future doesn’t look much better. Human rights defenders give their all. They risk their lives in the fight to improve the future of the region. Now it is our turn to help them where we can. A well-functioning Alert system is a first step. Why does The Activist Alert Matter? – It will give at least a chance to protect those defending human rights. – It will strengthen and make networks of activists more resilient. – It will ensure the future of human rights defenders in Guatemala. – The alert system scans media and the web for signs of danger and provides a place to report threats. -Digital security experts investigate every report immediately. If deemed serious, the activist is warned and preventive measures are taken. -The threat is published and, when possible, legal action will be taken. In neighboring Honduras, the Activist Alert has already proven effective. We designed this through our Nexos Program. Together with our partners, we will design and implement The Activist Alert in Guatemala. 1. Signaling: The Activist Alert team scans online and offline media for threats and attacks aimed at human rights defenders. Threats are also reported directly by activists themselves. 2. Analyzing: The team’s digital security experts examine each report and estimate how serious and urgent the threat is. 3. Activating: Serious threats are recorded, and the person under threat is warned. If necessary, additional protective measures are taken and legal support is offered. The warning is shared with other human rights organizations and, if safe to do so, published online. Activists who receive a warning feel protected and, more importantly, know they are not on their own. In this way, we give courageous people the support they deserve. Together with you, we are aiming to make this system available to Guatemala as soon as possible. Please Support or Share to transform this into reality! Muchas gracias por esta iniciativa tan importante. Me encantará estar al tanto de todo lo que hagan en el futuro, no duden en escribirme. Una pequeña donación para contribuir al éxito de este proyecto. Y los mando mucha fuerza también!! Qué se siga la lucha y resistencia en contra de los que amenazan la integridad de los defensores de los derechos humanos. Guatemala en mi corazón.